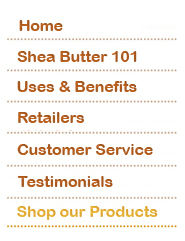 Perfect for the Shea Butter lover in your life! Get a 4 oz. 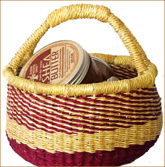 jar of all our Organic Shea Butter products in a beautiful handmade African basket.